Consider how much you can afford to pay. A good rule of thumb is no more than 30 percent of your take-home monthly income should be going to rent. Inspect the property carefully. If there’s any damage, you not only want to ask that it be fixed, but don’t want to be blamed for it later. Make sure such problem areas are addressed in a lease, either by your agreeing to live with it, or the landlord agreeing to fix it by a certain date. Find out what kinds of cosmetic changes you can make, such as painting walls, or structural changes, such as adding shelving. Find out exactly how much you are expected to pay up-front to rent the apartment. Note: security deposits may be more than one month’s rent, the Real Estate fee is usually one months rent or (15%) fifteen percent of the annual rent. Fees to superintendents or doormen, commonly called “key money,” are illegal. Leases provide many important protections for tenants such as a fixed rent for the duration of the lease. Unless you have a lease, your landlord can also evict you without giving any reason (after 30-days written notice). However, if you want the flexibility of moving on short notice, you may not want a lease. Read your Lease. It is important that you examine your lease carefully. Once you and your landlord sign it, the lease is considered executed and you have in effect agreed to every provision inside it. Does the lease mention all the amenities agreed upon? Be sure to write down any oral agreements. Check your lease to find out the due date for your rent each month (usually the first), as well as what late charges apply if you miss the deadline. What happens at the end of the lease term? Can you renew automatically? What happens if you break the lease? 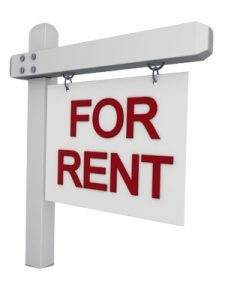 Can you sublet or assign (transfer) the lease? Who is on the Lease? If you are a renter, having your name on the lease gives you more protections and rights than any unsigned tenants. If you want your partner, child, spouse, roommate, or relative to have lease protections, it is a good idea to put their name on the lease at the outset. But also be aware that more names on the lease may mean more complications in the future if relationships change. Remember that the landlord also has rights.